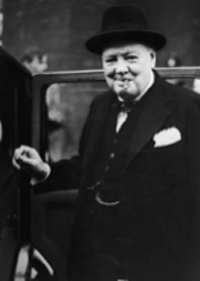 Winston Churchill was invited to address a graduating class at West Point Military Academy. Multi thousand dollars of tv and radio broadcasting equipment stood in place around the podium. Thousands of people waited to hear what the Prime Minister of England would share with the graduating class. At the appointed time the Prime Minister walked slowly to the speaker’s rostrum, put his cane over his arm, looked into the eyes of his audience and said, “Never, Never, Never quit.” turned around walked back to his chair and sat down.